a cheap generic battery so you are not aware what brand you are buying. 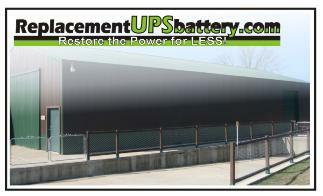 We offer the highest quality batteries at low prices. ReplacementUPSbattery.com has nothing to hide. provide real-time order status information, tracking numbers, safe and secure SSL encrypted transactions and much more. second-to-none at other online etailers. and continues to shape our business. Your ideas are always welcome. dispose of your used batteries. See below for more details or call us at 952-217-6611. Sealed Lead-Acid batteries are 99% recyclable and we all must do our part to keep batteries out of landfills.